Go Cong Dong is situated in an area of defence and security importance within the defence posture of Tien Giang Province. The district possesses a coastline of about 20 km and 2 major estuaries, namely Soai Rap and Cua Tieu. These geographic characteristics represent a great potential for maritime economic development. Over the past few years, the armed forces of Go Cong Dong have brought into play their leading role in implementing military and defence work, and building defence zones in an in-depth and strong manner, creating favourable conditions for the district to step up socio-economic development in a rapid and sustainable direction. To achieve those outcomes, first of all, the district party executive committee and people’s committee have exploited the advisory role of the district military party executive committee and command in leading and directing military and defence work comprehensively, especially the establishment and operation of defence zones. The district military command has taken initiative in situation assessment and practical recapitulation to lay the foundation for advising the district party executive committee and authority to promulgate resolutions, directives, plans, projects, etc., pertaining to combination of socio-economic development with strengthened defence and security, establishment of the all-people defence posture in close connection with the people’s security posture, building of robust local armed forces, etc., aimed to consolidate potential in the defence zones. Notably, the district military command has recommended the people’s committee to accomplish the General plan for disposing defence and security in association with socio-economic development for 2020, in line with practical situation; complete the Project designed to ensure defence and security in the area for every period, and the Defence mobilization plan, etc., and measures to mobilize resources needed to establish defence work according to identified planning and routes. In addition, it has advised the district party executive committee to issue specialized resolutions on building strong communes and district-level towns in the realms of defence and security, which serve to guide effectively the development and operation of defence zones. Moreover, the district military command has proactively coordinated, instructed, supervised, and examined offices and branches involved in working out plans to well mobilize and exploit every resource to realize this work in an increasingly synchronized, inclusive, unified, and effective manner, thus making contribution to improving efficiency and effectiveness of state leadership, guidance and management on defence and military work of party executive committees and authorities at all levels, meeting the requirements of building increasingly strong defence zones. To establish political-spiritual potential of defence zones, the district military command has brought into play its role as the standing office of the Council on Defence and Security Education, proactively developed plans, and actively worked with departments, branches and unions to well perform education, cultivation and dissemination of knowledge of defence and security among cadres, party members and people. Every year, district military command at various levels closely work with local departments, branches and unions to check all subjects. This helps to ensure that no cadre is omitted or takes classes in defence and security twice. In 2016, the district sent 3 cadres belonged to the third level subject to participate in classes in defence and security hosted by the province while opening training courses (as assigned) for 427 cadres of fourth level subject and 50 religious dignitaries and ministers; expanding the cultivation of knowledge of defence and security to include ship owners, chief mechanics, captains, and steersmen; and providing knowledge about national defence and security for 2,675 high school students. The dissemination of knowledge about national defence and security for the whole people is conducted through various creative forms and methods such as mass media and practical activities of the armed forces. For people living in coastal areas, particularly fishermen operating at sea, the maritime militia works with the Border Guard to directly propagandize and disseminate knowledge about national defence and security to each vessel, ship, aquaculture area, etc., thus gaining practical results. The district armed forces also speed up propaganda and education to raise cadres and soldiers’ awareness of the task of building defence zones. 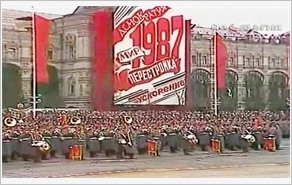 Content of propaganda and education is focused on Resolution of the 12th National Party Congress, Resolution of the 8th Plenum of the Party Central Committee (Tenure IX) on strategy to safeguard the Fatherland in the new situation, Resolution 28-NQ/TW of the Politburo (Tenure X) on continuing to build provinces and cities under direct central control into robust defence zones in the new situation, Decree 152/2007/NĐ-CP of the Government on building defence zones, etc., thereby making it clear that building defence zones at district, province and city levels within the general defence posture of the whole country constitutes the Party’s strategic guideline, and a duty and responsibility of the whole Party, people and military, in which the armed forces play the core role. To exploit the function of an “army for work,” the district armed forces well conduct public relations and canvass the masses for taking part in building political system at grassroots level, and actively carrying out the emulation movement “Vietnam’s People’s Army (VPA) makes joint efforts to build new rural areas,” support people to eradicate hunger, alleviate poverty, and prevent and overcome consequences of natural disasters, salinity intrusion, and so on. These practical activities have made an active contribution to propagandizing and disseminating the Party’s policies and guidelines; establishing firm “people’s hearts and minds posture”; building politically strong localities; bringing into play the strength of all people to perform national defence and military work; and building a strong all-people national defence. Strong economic potential can only be achieved when the economy is developed, closely combined with defence and security, and planned in accordance with the all-people defence posture. The district, therefore, has taken initiative in aligning economy with defence and security right from general planning and socio-economic development plans. During the implementation process, the district military command has worked closely with public security forces, departments and branches to recommend the district party executive committee and people’s council to appraise projects in the field of defence and security as directed. Realizing the policy of “exploiting resources of the high seas and staying at sea for long periods of time,” the district has assisted fishermen in shifting exploitation from coastal waters to high seas and establishing 2 trade unions and 29 production teams at sea. Most of fishing vessels have engine capacity of at least 300 h.p. and are equipped with modernized specialized technical equipment such as sonar fish finders, marine radars, GPS integrated long-haul land mobile radios, etc., enabling these ships to operate at high seas, increasing production effectiveness in association with security management at territorial waters, and making contribution to safeguarding our sovereignty over seas and islands. In recent years, the district has focused on infrastructure building and development, including Nam Sai Gon international port project, anchorages at the estuary of Soai Rap River, Vam Lang fishing port, industrial complexes such as Binh Dong, Gia Thuan 1, Gia Thuan 2, etc., river traffic, road traffic, coastal dykes and embankments in close connection with residential area planning; created jobs for local people; aligned economic development with establishment of on-spot forces; and perfected the posture within defence zones step by step, satisfying military and defence demands if wars occurred. In order to bolster military and security potential for defence zones, the district military party executive committee and the district military command concentrate their leadership and direction on building comprehensively strong district armed forces with integrated quality and high combat readiness. As for the standing force, the district attaches importance to strengthening its organization in a sufficient, lean and highly efficient direction. Training, political education and combat readiness are conducted seriously according to annual plans with a view to improving advising capability, technical and tactical skills, as well as political quality, morality and lifestyle of cadres. The reserve force is developed according to the principles of “closeness and entire area” and “where there are soldiers, there are cadres,” gradually increasing the rate of appropriate military professionalism, and staffing units correctly and sufficiently. The militia and self-defence forces are built in the directions of “adeptness, leanness, quality, and efficiency,” and “slowness but sureness.” The district continues to check, classify, register, and manage strictly all kinds of vessels to lay the foundation for force development and establishing a suitable model of maritime militia. Apart from the general training program, the district also promotes training in employing infantry weapons to engage low-flying aircraft and cruise missiles, and transmission of information through a common system of signs and signals at sea for the militia and self-defence forces of several offices and units. Every year, the district takes initiative in adjusting, supplementing and perfecting documents and plans for operations, flood and storm prevention and control, and search and rescue; strictly managing vessels, materials and technique to be prepared to mobilize when needed; and closely coordinating practice and exercises as prescribed. Every year, the district directs 3 or 4 communes, clusters of communes and the district town to conduct defence zone drills, law enforcement drills, flood and storm prevention and control exercises, and search and rescue exercises. In 2016, the district was selected to conduct an exemplary defence zone exercise for the whole province, which was appreciated by the steering committee, and contributed to raising party executive committees and authorities’ knowledge and ability to employ mechanisms, as well as the armed forces’ integrated quality and combat capabilities. Moreover, the district armed forces always work closely with other local forces, especially the Public Security and Border Guard, as stipulated by the Government’s Decree 133/2015/NĐ-CP, thereby performing well the tasks of preserving political security, law and order, social security, and national defence right at grass-roots level. The district military party executive committee and military command have advised the district and directly expedited construction of military posture within the defence zones as defined by plans, with a focus on consolidating and building new important military projects, including key defence zones, combat bases, headquarters at all levels, a cluster of littoral points d’ appui, air defence artillery sites, artillery sites, training areas, headquarters of commune and district town military commands, etc., while making good use of available infrastructure and natural terrain to reduce expense and preserve the environment in the area. This will form the basis for shaping military posture within the defence zones in the direction of focalization, in both depth and width, cohesion, robustness, and so forth. Bringing into play the leading role of armed forces, executing the aforementioned measures in a close and synchronous manner, Go Cong Dong District will continue building strong defence zones within the province’s defence posture, meeting the requirements of national construction and defence in the new situation.